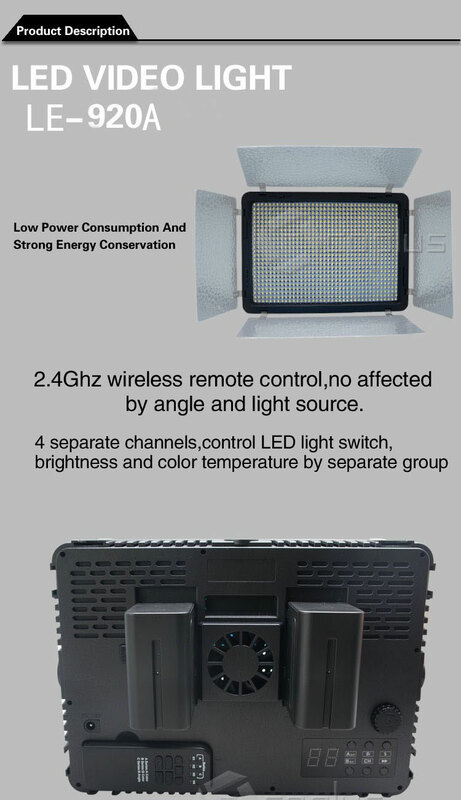 2.4Ghz wireless remote control,no affected by angle and light source. 4 separate channels,control LED light switch,brightness and color temperature by separate group. Use Professional LED driving technology,no ripple. 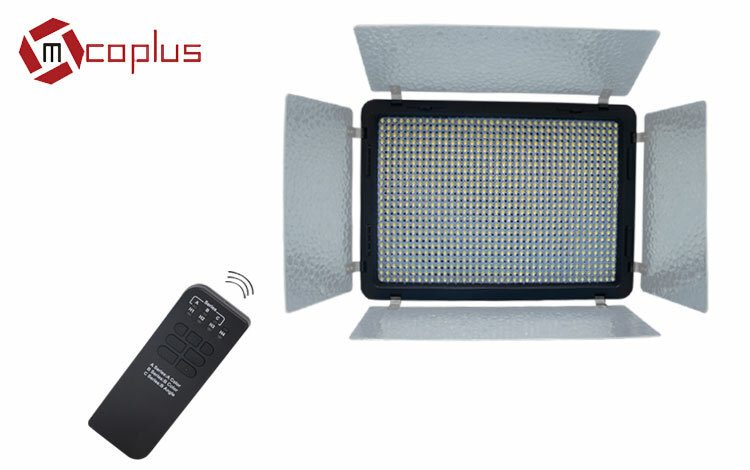 Use digital code brightness dimming adjusted technology,accurate, smoothness,steady dimming. Digital LCD display,vivid function and output display. Support check two batteries power consume separately. LE-520A/720A/920A white cool color series,support brightness adjusted. Support 15V DC adapter,you can use this LED light full day. 4:3 widescreen design,more light coverage. 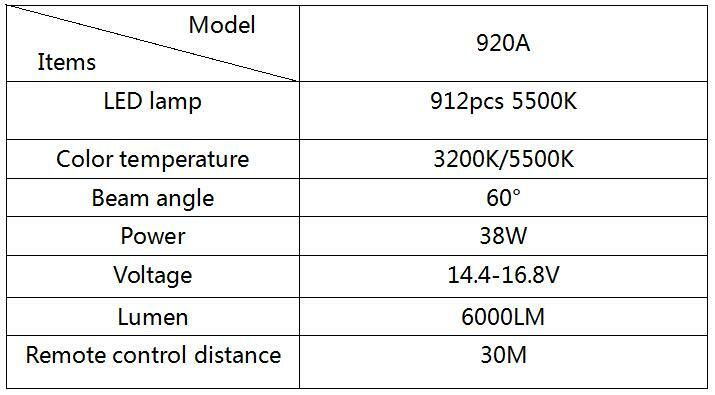 LED lamp technology,low power consume,energy conservation and environmental protection,accurate color temperature.